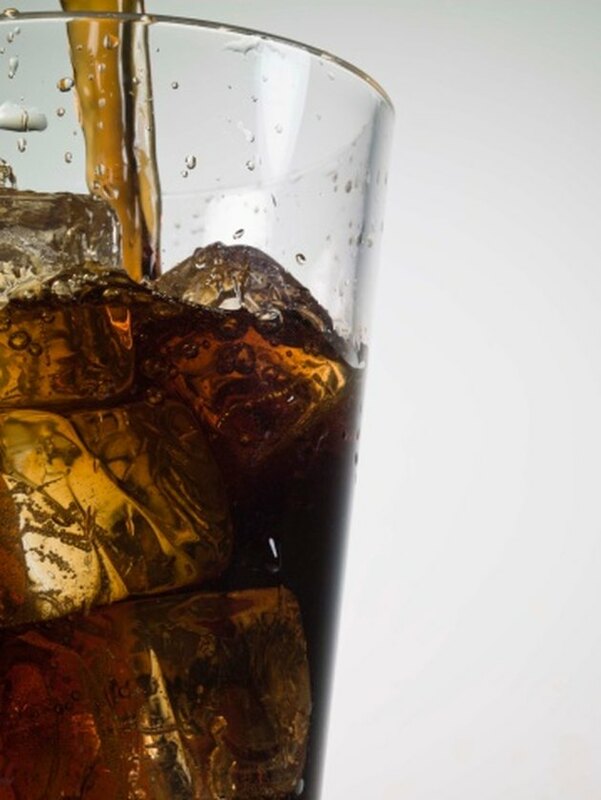 Soda represents the number one source of calories in the average American's diet, according to ABC World News. The calorie content depends on the serving size and flavor of each soft drink. The calories in soda come from sugar or high-fructose corn syrup. The CalorieKing website reports that just 1 tbsp. of high-fructose corn syrup contains 53 calories. The average can of soda sweetened with sugar contains 150 calories, according to the Harvard School of Public Health. A 20-oz. bottle of soda has 250 calories. Consuming the empty calories in soda without burning them off can lead to weight gain. An October 2010 study published in the "Diabetes Care" journal revealed that drinking just one sweetened beverage per day also increases the risk for type 2 diabetes by more than 25 percent, as reported by "U.S. News & World Report." Diet soft drinks sweetened with aspartame or Splenda contain zero calories, making them an alternative to calorie-laden soft drinks. Some diet sodas contain phenylalanine, an essential amino acid. While this substance does not harm most people, those who have a metabolic condition called phenylketonuria should not drink beverages that contain this ingredient. Water, tea and other drinks make safer choices. MayoClinic.com: Phenylalanine in Diet Soda: Is It Harmful?